The notion of one-to-one marketing is as old as the web itself. Content personalization continues to expand within companies as maturing technologies make it a viable option for customer engagement strategies. 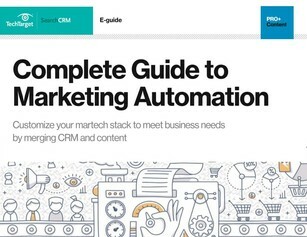 In our Complete Guide to Marketing Automation, access a printable chart that compares top personalization engine vendors, and find out how your company can raise the bar for delivering next-generation digital experiences. Access your copy of the guide by providing your insight in our CRM research program today.